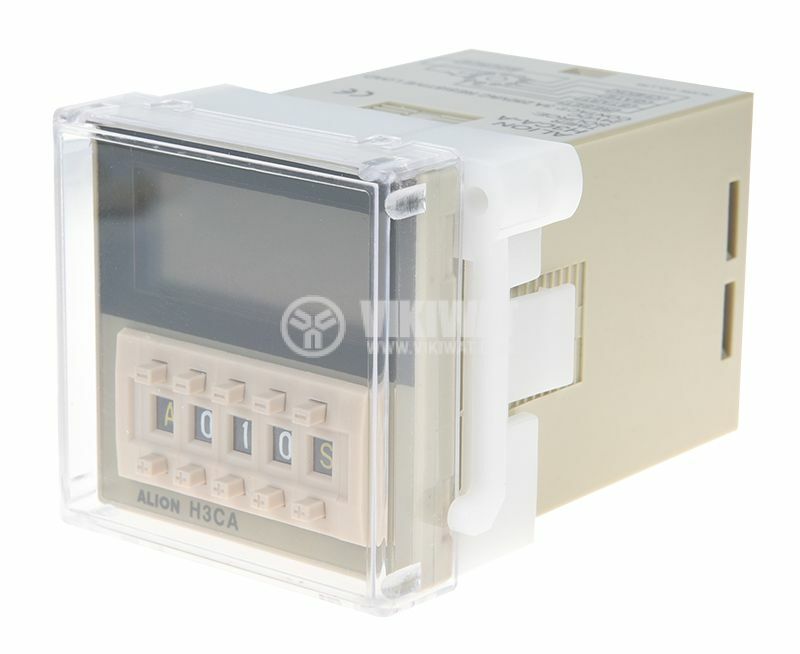 Digital Multifunction Time Relay,H3CA-A,with supply voltage 24 VDC and NO+NC contacts. A, B, C, D, E, F, G, H - with which the relay can operate with a delay when switching to Uzaf. Or START, repetitive cyclic mode with equal pulse / pause time, front and rear front START control, delay, UPS off. Or START, interval, single pulse, and more. For detailed technical data, see the attached file.